It’s a long way from the year 2000 when AOL famously bought Time Warner, then the largest media and entertainment company in the world, and also the publisher of many printed titles. The widely-touted and lauded logic behind the deal was that the new delivery channel called the “Internet” badly needed the rich content of old-media stalwarts like Time, Warner Music, CNN, HBO and others. With sky-high valuations that Internet companies enjoyed at the time (now derided as the “dotcom bubble”), AOL emerged as the dominant player in the deal with Time Warner. AOL shareholders received a greater percentage of shares in the combined company. AOL’s founder Steve Chase landed the top spot as Chairman of the merged company. Now often referred to as the worst merger of all time, the AOL Time Warner deal led to a loss a year later of over $99 billion and decline in market value of more than $200 billion. 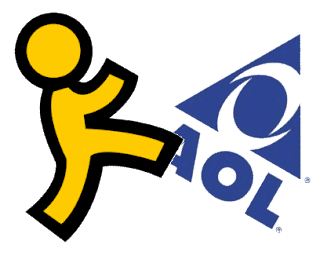 The bubble had burst, and the merged company soon thereafter dropped “AOL” from its name. How things have changed. The Internet has grown up, and with the advent of the smart phone, online and mobile now clearly are, or are becoming, the dominant distribution channels for content of every stripe. CarsDirect.com, one of the truly early Internet startups, not only survived the bubble, but has now morphed into a full-fledged online company. Serving automotive, health, home and travel, legal and specialized product verticals, the company has been renamed Internet Brands and now has dozens of highly focused websites with over 100 million monthly visitors. With backing from PE mega-fund KKR, Internet Brands recently acquired Fodor’s from publishing giant Penguin Random House. Along the way, Internet Brands has acquired other publishers that distribute content via print as well as through its online channels. The company now even promotes print production expertise as one of its core skill sets. Acknowledging the value of print to travel enthusiasts, Internet Brands has announced that it will continue to publish Fodor’s famous travel guides in printed format, of which there are currently more than 150 active titles in print. In a back-to-the-future time warp, it turns out that Internet companies really do still need to acquire good content and that some that content is best delivered via print. In this year-2016 transaction the Internet-centric company is clearly in the driver’s seat. And what happened to Time Warner? The synergy between print, broadcast and electronic delivery never really materialized, at least not for the combined AOL Time Warner. In 2009, the company spun off its cable division and dumped AOL. The remaining company focused on its print and traditional media businesses. Printed publications continued to face the headwinds of content distributed via the Internet and mobile, and in 2014 Time Warner spun off its printed publications as a separate company, Time Inc. (see The Target Report – June 2014). Canadian publishing and printing powerhouse Transcontinental is now well on its way to establishing itself as a force in the US flexible packaging market with its third flexible packaging acquisition in two years, acquiring Robbie Manufacturing in Lenexa, Kansas. Transcontinental saw that demand for its traditional products was declining and began to build its new division with the acquisition of Capri Packaging in 2014 (see The Target Report – March 2014). Transcontinental was not previously in the flexible packaging business, but noted at that time that as a company it had deep understanding of roll-fed printing processes and believed that flexible packaging printing processes would share many of the same underlying issues and production methodologies. In 2015, the company acquired Brooklyn, New York-based Ultra Flex Packaging, reportedly paying 6.7x EBITDA of $12 million, more than one times revenue of $72 million. (see The Target Report – September 2015). Nippon Paper Industries, of Tokyo, Japan, announced the acquisition of the paper container operations of Weyerhaeuser, the second divestiture in as many months for Weyerhaeuser. The jettisoned division, which was sold for $285 million, includes a paper mill in Washington State that specializes in liquid-packaging paperboard used in paper cups and cartons for milk, juice and other liquids. Last month, Weyerhaeuser sold its pulp processing business to International Paper, and also announced that it is conducting a strategic review of its joint venture with Nippon Paper that produces printing papers. Weyerhaeuser is now focused on timber, land and forest products and appears to be exiting the paper business. Georgia-Pacific, a division of privately-held Koch Industries, acquired Reliable Container in Southern California and Tijuana, Mexico. Reliable manufactures corrugated boxes and retail displays. This is the second acquisition this year that Georgia-Pacific has announced in the corrugated box and retail display segment, buying Illinois-based Excel Displays & Packaging in March. The two acquired companies are right square in the middle of two trends in printing where valuations have been trending to the higher end of the range for printing-related companies, packaging and retail display (See The Target Report – January 2016). Phoenix Color, now a division of ALJ Regional Holdings, having been spun off from Visant in 2015 (See The Target Report – July 2015), has now acquired cosmetic printing specialist Color Optics located in Rockaway, NJ. The seller of Color Optics was Arcade Beauty, a cosmetic sampling company which, as part of the deal, will remain as a customer for the new owners. Kelmscott Communications, Rider Dickerson and Buhl Press, all located in Illinois, announced the formation of Fuse in a three-way merger. Together the companies will have $40 million in revenues, but will operate separately for the time being. The plan is to eventually fold all three into the Buhl location which will be expanded to accommodate the combined companies. Imagine!, the retail display printing company in Minneapolis which recently was purchased by PE firm Oak Hill Capital Partners, announced its first acquisition under the new management, acquiring creative agency Midnight Oil in Burbank, California. Epson strengthened its position in digital inkjet printers for textiles with the acquisition of Italian manufacturer Robustelli which has used Epson inkjet printheads in its Monna Lisa series of textile printers. This acquisition comes a year after Epson acquired For.Tex, also an Italian company, that develops and produces inks especially for printing textiles. Epson is playing catch-up with EFI, which has been an aggressive acquirer in the digital textile printing space. EFI acquired Optitex, an Israeli company that has developed design software for textile designers that provides fully rotational 3D viewing and editing of virtual prototype fashion designs. Earlier this year, EFI acquired Rialco, a supplier of dye sublimation powders used in textile printing, and in June of 2015, EFI acquired Reggiani Macchine, a manufacturer industrial-strength inkjet printers used to print textiles. (See The Target Report – July 2015).